Please provide a head shot, full body shot and any other photo you feel is relevant. The head shot is the one most people will see but you can change this by selecting the default below. Please upload either JPG, GIF, BMP or TIF files, no more than 50MB each. They will be automatically resized accordingly when you upload them below. The time taken to upload the image will depend on the the speed of your connection to the internet. Staff at work photos are uploaded to our Facebook page. Please tag you and your friends, but firstly 'Be our fan'. 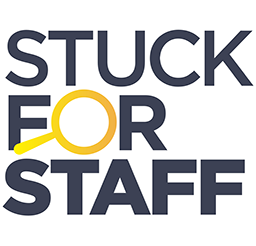 StuckForStaff.co.uk occasionally use images of staff from our database for our own marketing and publicity purposes. Please uncheck this box if do not want us to use your photographs.